The son of two university professors, Chad Rhym grew up in the world of academia. Chad was inspired by intellectualism, African-American history and all the topics his parents brought back home with them. Now, he hopes to formally join that world himself. Chad, 20, plans to pursue a doctorate in sociology after finishing his sociology degree at Morehouse College. But being an academic is more than working as a professor or researcher, Chad said. He hopes to combine his background in journalism with his academic research. He was first introduced to journalism at his high school newspaper. “I loved everything about it, meeting new people. It was so tight,” he said. Chad is a master dabbler, dipping his toes in multiple fields and practices and combining them with his current interests. He wrote about sports and news and eventually got into photography toward the end of high school. But he knew he wanted the intellectual environment of a top college and enrolled at Morehouse. “It was really wacky at first,” he said about enrolling in the historically black college. Though his hometown of Athens, Ga., was diverse, he was driven to have the unique experience he felt Morehouse could provide. 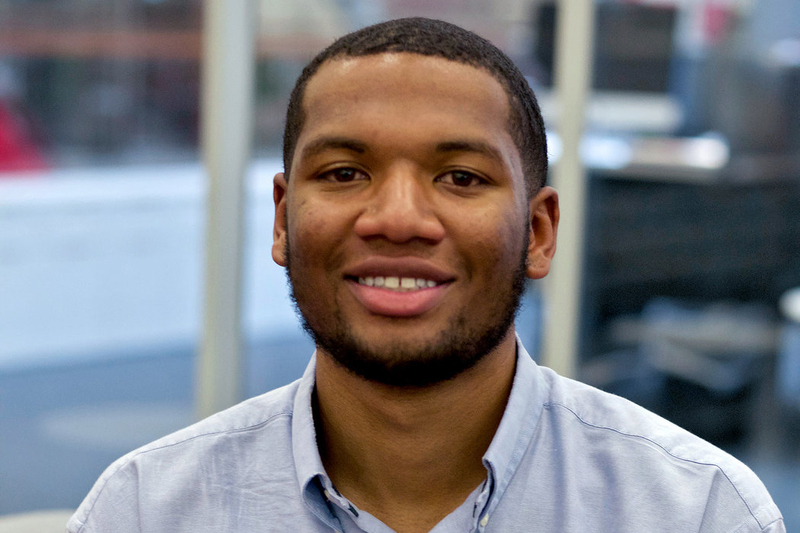 At Morehouse, Chad refined his photography skills working for the student newspaper and interning at The Atlanta Journal-Constitution. But once he gets his doctorate, Chad wants to eventually circle back to journalism. “At the end of the day, journalism was kind of like my first love, how I learned about the world,” he said.